Snow depth and snow water content data have been collected and disseminated throughout the W estern United States for over 100 years. 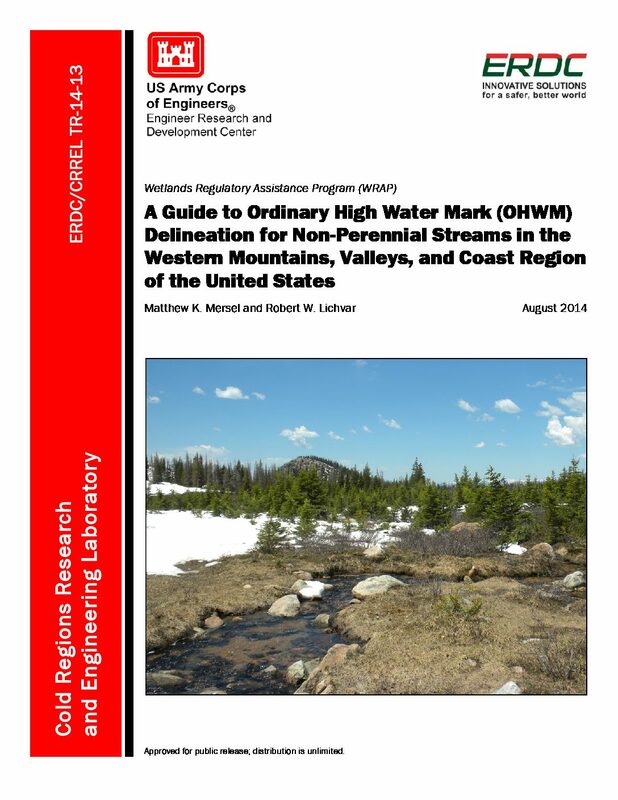 Early Snow Survey and Water Supply Forecasting data were gathered through the efforts of university scientists. 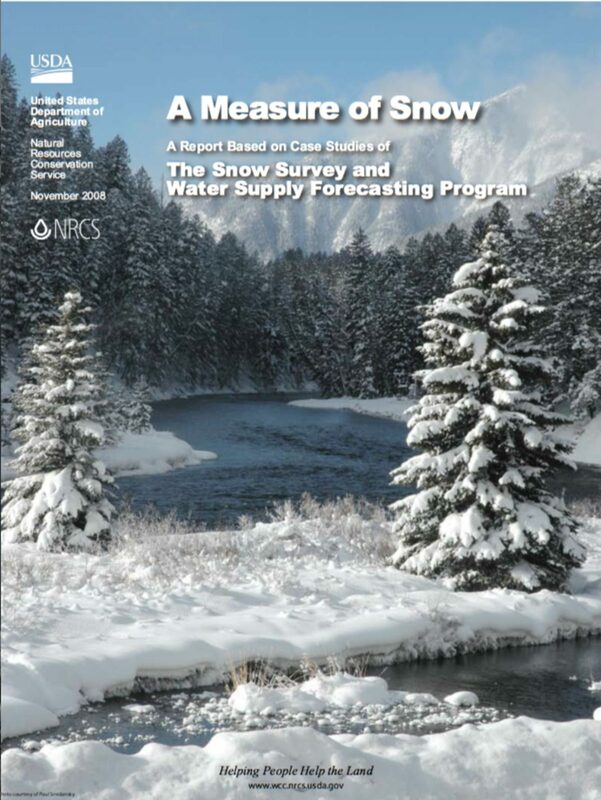 In 1935, the Soil Conservation Service (SCS) was given $36,000 to establish a formal cooperative Snow Survey and Water Supply Forecasting (SSWSF) Program. 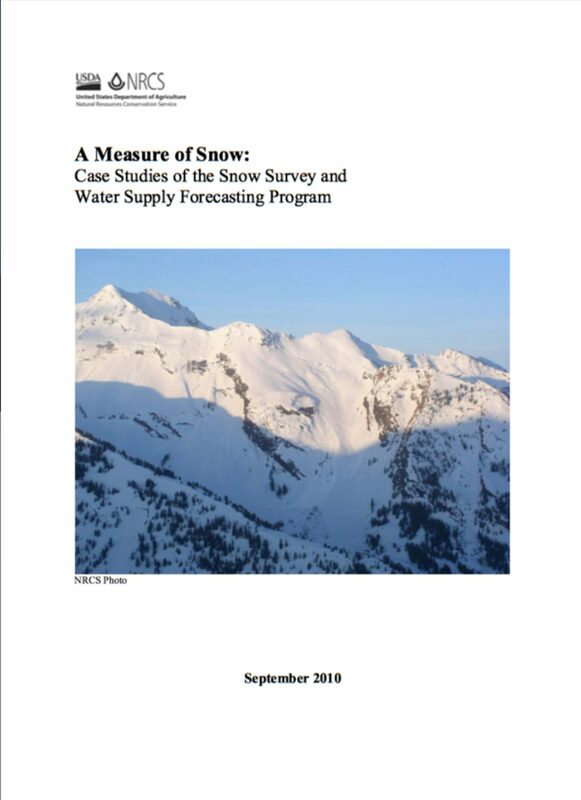 The agency was charged with the responsibility for “conducting Snow Survey and Water Supply Forecast s and forecasting of irrigation water supplies.” The new program would also develop consistent methods for measuring snow and reliable models for water supply forecasting. 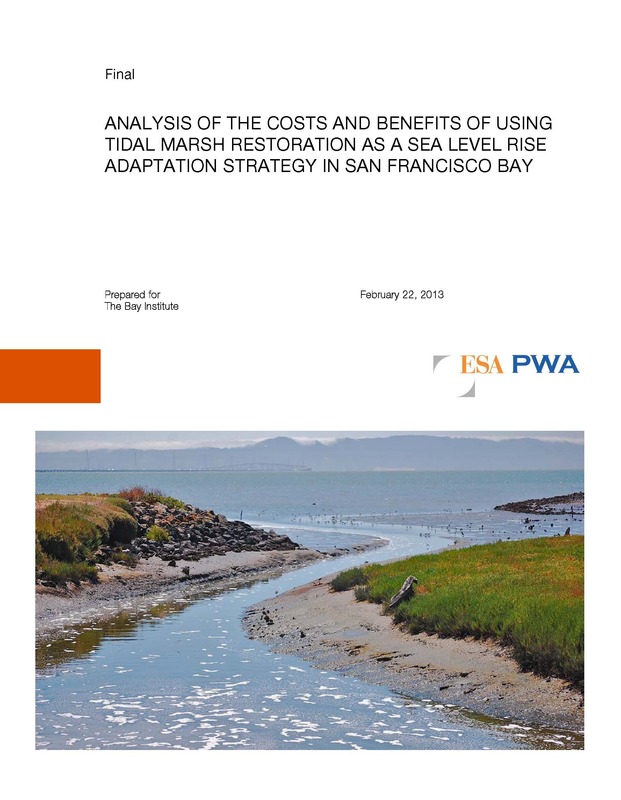 Using a case study approach, this report assesses the various uses of data gathered and published by the SSWSF Program and estimates the value of those data in terms of both the market and non-market values of the information. Additionally, it evaluate s the relative merits of maintaining the program as a publicly funded program as opposed to privatizing the program. This study finds that the SSWSF Program is generating both market and non-market benefits to the U.S. economy and to U.S. society as a whole that are worth significantly more than the cost of the program. 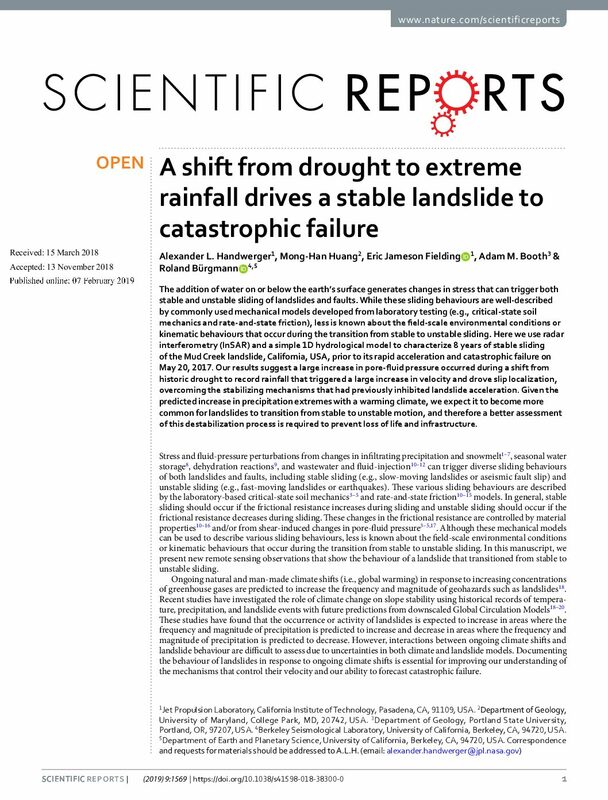 Should climate variability increase — as is expected by many of those interviewed in the course of completing this study, and as current climate research strongly suggests — the value of the information provided by the SSWSF Program will increase accordingly. 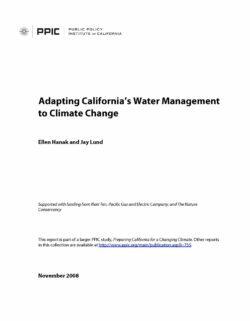 In recent years, evidence that global climate will have significant effects on water resources in California has continued to accumulate. 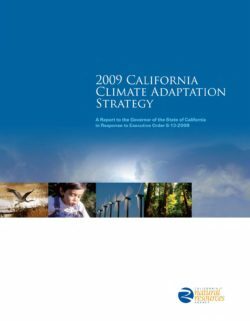 Climate change can affect the amount, timing, and form of precipitation, whether rain or snow, that California receives, as well as the sea level of the Pacific Ocean. Moreover, changes in weather, especially temperature, and atmospheric composition can affect water use and consumption. Changes in climate have occurred during the 20th century, with noticeable warming in the last two decades. Most scientists feel that changes during the last several decades are likely mostly due to human activities, but natural causes and variability cannot be ruled out as a significant component. Likewise, projections of amount of warming and other climate changes during the 21st century are wide ranging, depending on assumptions and models. A major cause of expected climate change is the increasing amounts of greenhouse gases, such as carbon dioxide, in the atmosphere as a result of man’s activities. These gases, as well as water vapor, allow solar radiation to pass inward through the atmosphere, but trap the longer wave infrared radiation reflected back from the earth’s surface. Greenhouse gases are accumulating in the atmosphere; the following chart shows the gradual build up in carbon dioxide at Mauna Loa in Hawaii, as measured by Scripps Institution of Oceanography scientists. The annual cycle is caused by northern hemisphere vegetation uptake during the growing season. Other significant greenhouse gases are methane, nitrous oxide, halocarbons (like freon and its replacements), and, of course, water vapor itself. Cloud cover is an important element in the global radiation balance. Whatever the causes, the prospects of significant changes warrant examination of how the State’s water infrastructure and natural systems can accommodate or adapt to climate changes and whether more needs to be done to detect, evaluate and respond to water resource system effects. Many uncertainties remain, primarily on the degree of change to be expected. 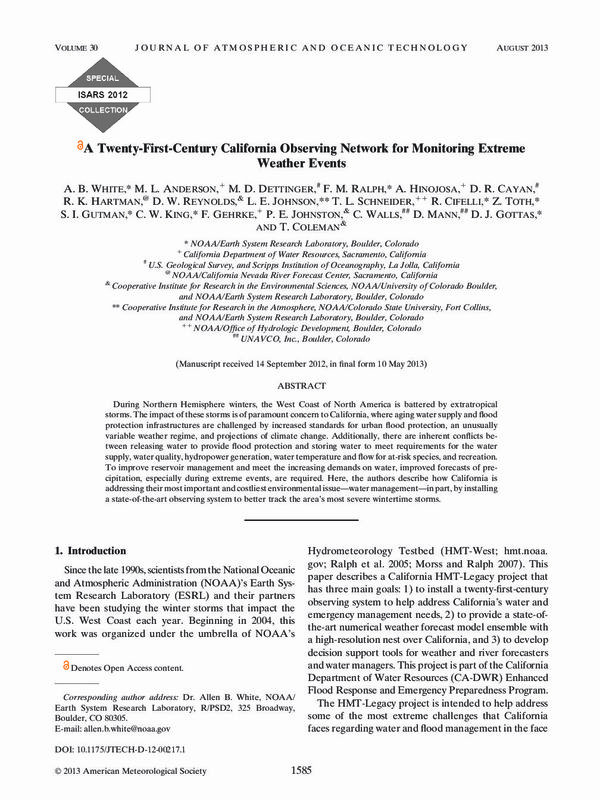 Responsible planning requires that the California water planning community work with climate scientists and others to reduce these uncertainties and to begin to prepare for those impacts that are well understood, already appearing as trends, or likely to appear. In this section we review possible impacts and address some of the responses appropriate for water planners and managers. 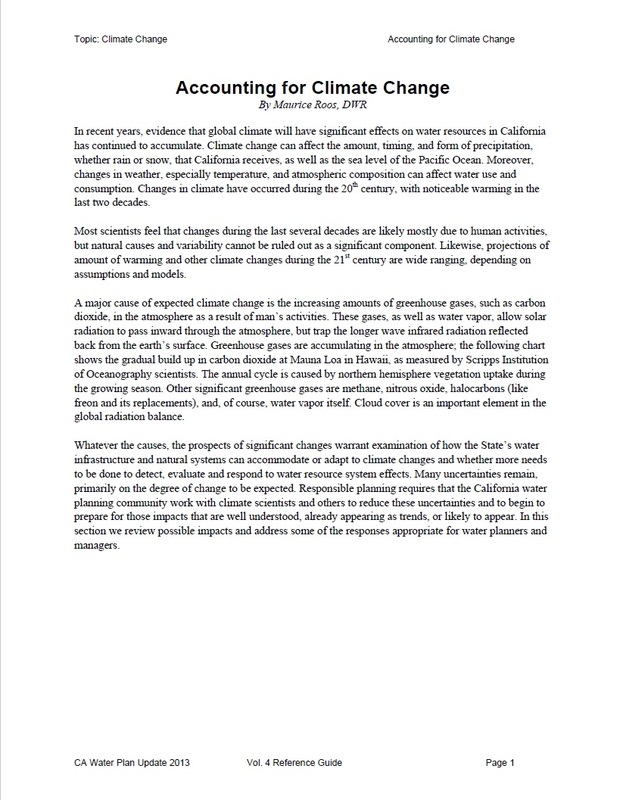 This place-based case study in an agricultural county in California’s Central Valley focused on the period of 2010–2050, and dealt with biophysical and socioeconomic issues related to both mitigation of greenhouse gas (GHG) emissions and to adaptation to an uncertain climate. In the past 100 years, changes in crop acreage has been more related to crop price and availability of irrigation water than to growing degree days during summer, and in fact, summer temperatures have increased less than winter temperatures. Econometric analysis indicated that warmer winters, as projected by Geophysical Fluid Dynamics Laboratory-Bias Corrected Constructed Analog during 2035–2050, could result in less wheat acreage, more alfalfa and tomato acreage, and slight effects on tree and vine crops. The Water Evaluation and Planning (WEAP) model showed that these econometric projections did not reduce irrigation demand under either the B1 or A2 scenarios, but a diverse, water-efficient cropping pattern combined with improved irrigation technology reduced demand to 12 percent below the historic mean. 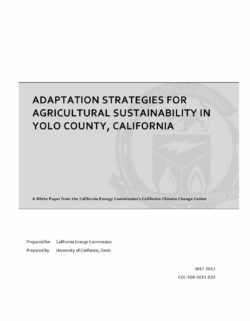 Collaboration during development of Yolo County’s Climate Action Plan showed that nitrous oxide (mainly from nitrogen fertilizers) was the main source (40 percent) of agricultural emissions. Emissions from cropland and rangeland were several orders of magnitude lower than urbanized land per unit area. A survey distributed to 570 farmers and ranchers achieved a 34 percent response rate. Farmers concerned about climate change were more likely to implement water conservation practices, and adopt voluntary GHG mitigation practices. Use of the urban growth model (UPlan) showed that channeling much or all future urban development into existing urban areas will increase ecosystem services by preserving agricultural land and open space, immensely reducing the Yolo County’s GHG emissions, and greatly enhancing agricultural sustainability. These climate driven changes affect resources critical to the health and prosperity of California. For example, forest wildland fires are becoming more frequent and intense due to dry seasons that start earlier and end later. The state’s water supply, already stressed under current demands and expected population growth, will shrink under even the most conservative climate change scenario. Almost half a million Californians, many without the means to adjust to expected impacts, will be at risk from sea level rise along bay and coastal areas. California’s infrastructure is already stressed and will face additional burdens from climate risks. And as the Central Valley becomes more urbanized, more people will be at risk from intense heat waves.